Many puppy parents wonder how they can exercise the family dog more frequently or more efficiently. Taking walks or playing outdoors may be difficult or impossible due to tight schedules, bad weather, unfavorable climate or even physical limitations. Luckily, having a treadmill for dogs will aid in keeping your dog as fit as possible in the comfort of your own home. Why Do You Even Need a Treadmill for Dogs? Which Treadmill for Dogs Should You Choose? 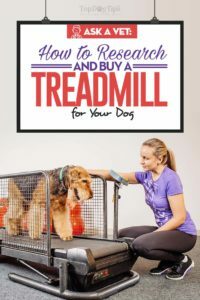 In my practice I occasionally encounter pet owners who are curious about the use of treadmill for dogs but aren't sure if there are any benefits to that, and if some of them are worth their (high) cost. The general consensus is that veterinarians are very much pro the use of treadmills for dogs – there are many great benefits that can be achieved to preventing future and dealing with current health conditions in your canine. Before you buy a treadmill for dogs, however, there are a few things you need to keep in mind. There are two general types of treadmills that are available for pet owners: underwater and indoor dog treadmills. Underwater dog treadmills are used by canine rehabilitators and physiotherapists. These large, expensive treadmills are typically not practical for use in homes and would be quite expensive. Dogs that require the use of an underwater treadmill often only use it for physiotherapy sessions short-term. Studies have proven the many benefits of underwater treadmills for dogs. According to NextGenDog, it's also one of the most effective ways to relieve pain and arthritis discomfort in dogs (source). Indoor dog treadmills are electric or “dog-powered,” compact and perfect for almost every size. They look like miniature versions of human treadmills which we're all familiar with. Some pet parents even exercise alongside their pup on their own home treadmill or elliptical machine. Regular dog treadmills have also been scientifically tested with canines, and some studies found them to be of great benefits to dogs (study). In this article, I will discuss mostly the regular type of dog treadmills, since it's the one majority of pet owners are likely to purchase. A treadmill for dogs will typically have a few unique features such as a belt running surface, water bowl stand, treat basket stand and side panels. Many are powered by an electric motor, while others run off the movement of your dog. Some doggy treadmills are designed like a large rodent wheel. Every dog owner has their own reason for buying a treadmill, but general physical fitness and wellbeing always plays a part. If you live in an area with harsh winters, long monsoon seasons or intense heat – the treadmill can be a god-send. You and your dog can stay indoors and exercise in the comfort of your own home. It is worthwhile noting that certain popular breeds are VERY high-energy, especially dogs in the herding or sporting groups. Sometimes these dogs don’t mix well with indoor or urban lifestyles without appropriate amounts of exercise. Border collies are a prime example. These dogs were bred to run a lot and they are very smart. They require a lot of exercise to keep their minds and bodies healthy. Border collies can get bored easily if they are indoor pets without a lot of room. Boredom can lead to behavior problems. If you’re unable to get out and let your Border run every day or engage in another physical activity – like agility – a treadmill may be the best option. The ‘Obesity Epidemic’ is causing significant health issues for dogs and cats. In 2015, it was estimated 54% of dogs in the U.S. were considered overweight or obese. In order to prevent obesity related diseases, exercise and diet control are necessary. The majority of successful weight loss in pets is due to diet restriction or change. Incorporating consistent, gentle exercise can help to tone muscle, support joint health and burn calories. The use of a treadmill is an excellent option for dog owners that wish to accelerate their pet’s weight loss. There are several treadmills on the market today. 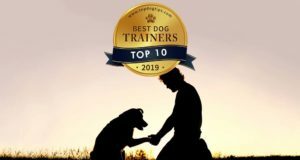 Top Dog Tips experts have previously researched and made a list of best dog treadmills out there. You can use that list, or take a look at my personal review of several common designs and compare with your specific needs. Some require electricity to run the motor, while others are propelled by the dog. If you are interested in an inexpensive, basic treadmill, this is it. In the late 1980's, the Classic was developed as one of the first dog treadmills in the USA. 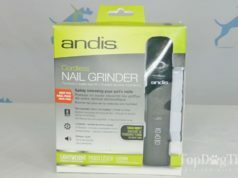 It is quite simple in its functions and design but is durable and long-lasting. Designed for small to medium size dogs, this compact, affordable treadmill for dogs design is perfect for canines under 55 pounds. 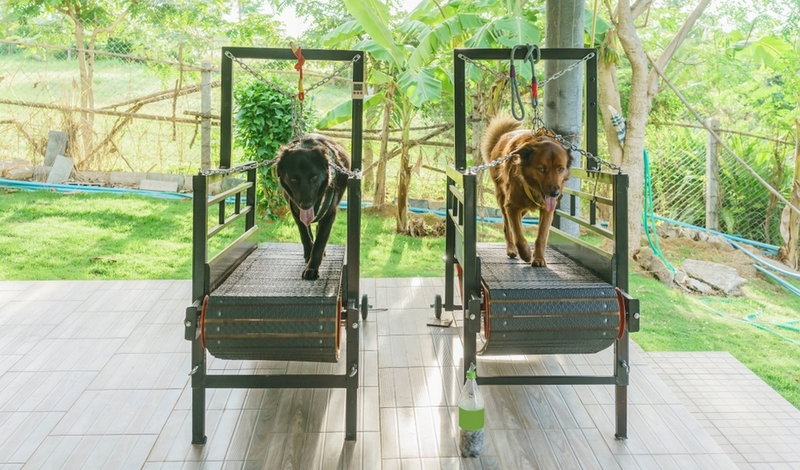 Because of its price tag, this is one of the more popular dog treadmills among pet owners and have been well-reviewed in Top Dog Tips' rankings list. The Treadwheel is basically an extra-large rodent wheel for dogs. This treadmill for dogs offers a brilliant design that allows your dog to propel himself without need for an electric motor. It's another popular choice among pet owners but has its downsides in terms of weird positioning and not being the most reliable brand out there. Dog Tread is another manufacturer of canine treadmills with an excellent reputation for customer service. They make a wide variety of sizes to fit your pet as well as special diagnostic treadmills. If your dog is an avid athlete, investing in a diagnostic treadmill may be worthwhile. The stride and lameness evaluation data collected by these treadmills are useful for conditioning purposes and for sports injury rehabilitation. Follow instructions set by the manufacturer. Follow instructions established by your veterinarian or rehabilitation specialist. Be in touch with your veterinarian or rehabilitation specialist if the treadmill is being used for weight loss or physiotherapy purposes. Ensure that your dog can walk obediently on a leash. Use a harness while on the treadmill, to provide support in case they stumble or fall. Walk alongside your dog, holding the leash, encouraging him. Use the side panels to prevent stepping off the side. If your pet requires use of a sling, use it while on the treadmill for dogs. Use lots of treats for training (positive reinforcement). Start slowly, with 2-3 minute sessions at first. If your pet is afraid, stop the session and give lots of treats. Slowly start again, rewarding his progress every step of the way. Pay attention to your pet’s level of fatigue. Fatigue can predispose your dog to trips and falls. Some models allow for a “quick release” lead tie to be used to help keep your dog on the treadmill. Use these with caution and only according to the manufacturer’s instructions. Use a loud voice during training sessions. If your dog hesitates, is fearful or trips – using a loud voice can create fear, even if you aren’t scolding him. Tie your pet’s collar to the treadmill, as a fall could lead to strangulation. Leave your pet alone on the treadmill. Increase the incline of the treadmill for dogs incline too fast. It is likely that your pet will become fast friends with their treadmill for dogs. This wise investment in your dog’s health can be used for years to come and even alongside your own treadmill.